The end of October is near, which means Hallows eve is upon us. Nowadays this means that all across the world, trick or treaters will descend dressed in their best scary costumes. It also has a much darker history, in which long long ago Celts would honor the end of Summer and harvest time, and mark the beginning of Winter. The Celts also believed that this meant that the barrier between the living and the dead became very thin and on the eve of October 31st spirits would come back from the dead and cause havoc by destroying the crops. Today, we now know this day as Halloween. 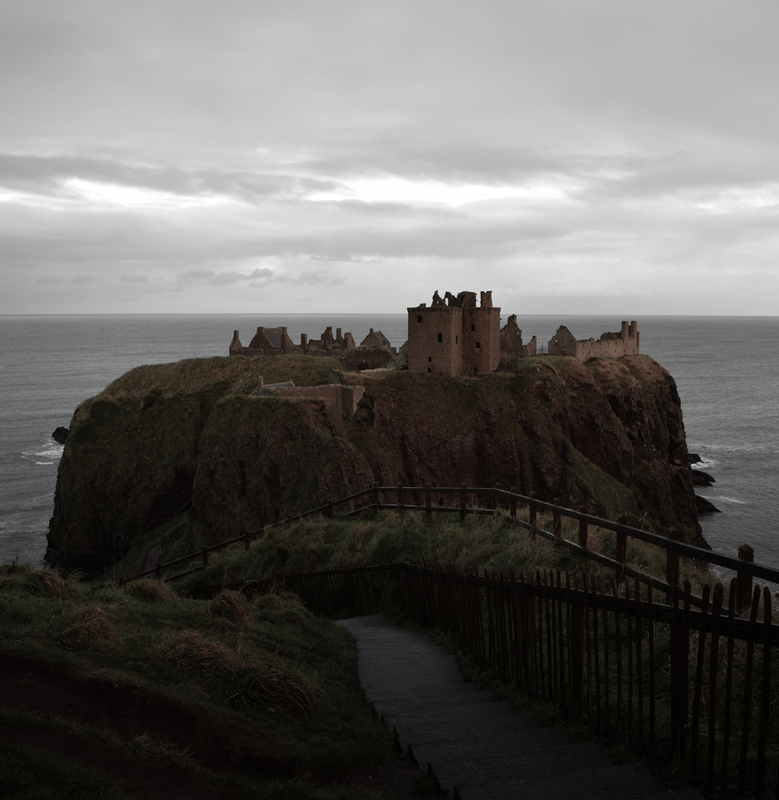 Many spooky sightings have come from some of Scotland's most beautiful Castles. 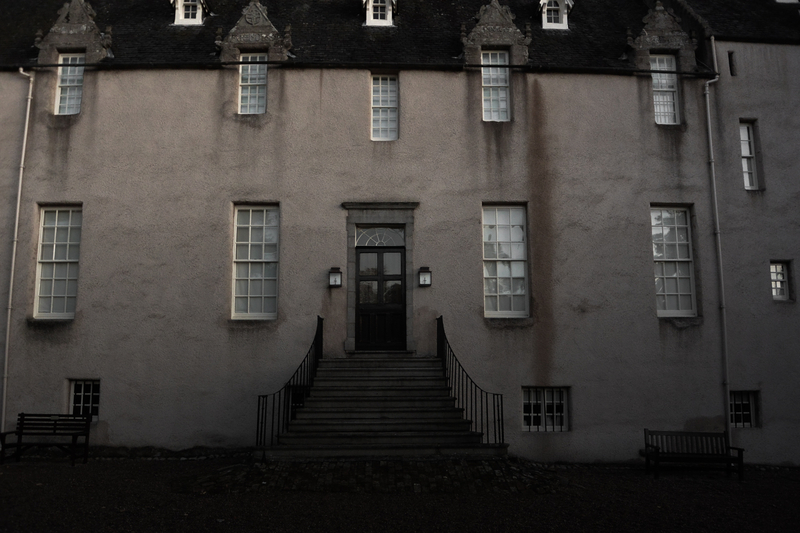 Behind the magnificent exterior lies many spine chilling tales, terrifying enough to leave you having nightmares for weeks. 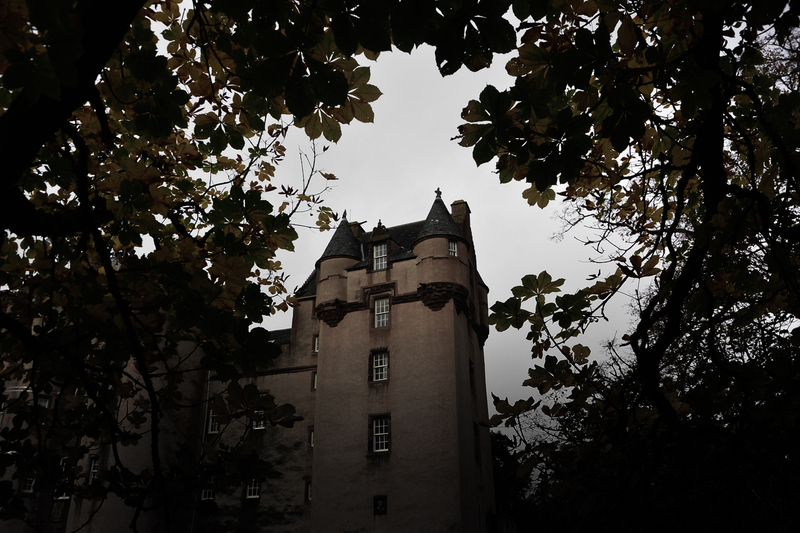 Let us share some of Aberdeenshire’s most Haunted Castles with you, we dare you to visit them. 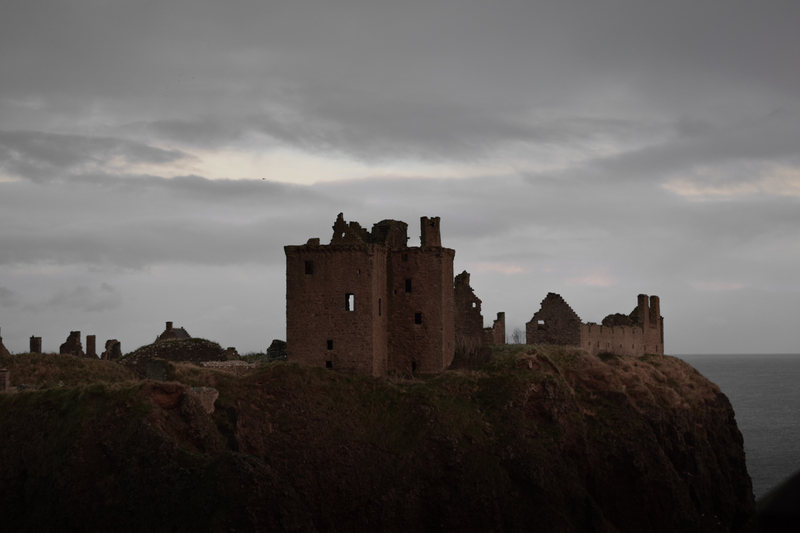 First up, we have Dunnottar Castle, this castle was built across a Pict Fort over 1300 years ago that was destroyed in a Viking attack. It is located on a rocky cliff-face with the formidable North Sea crashing at its edges and the only access via a narrow walkway. In 1686 around 180 Whigs (a political party opposed to the Stuart king) were imprisoned in the castle in an area now known as Whigs Vault. They were held with no food or water, sanitation or fresh air to which many died. Visitors to the castle have reported the desperate cries of the suffering endured by the prisoners. 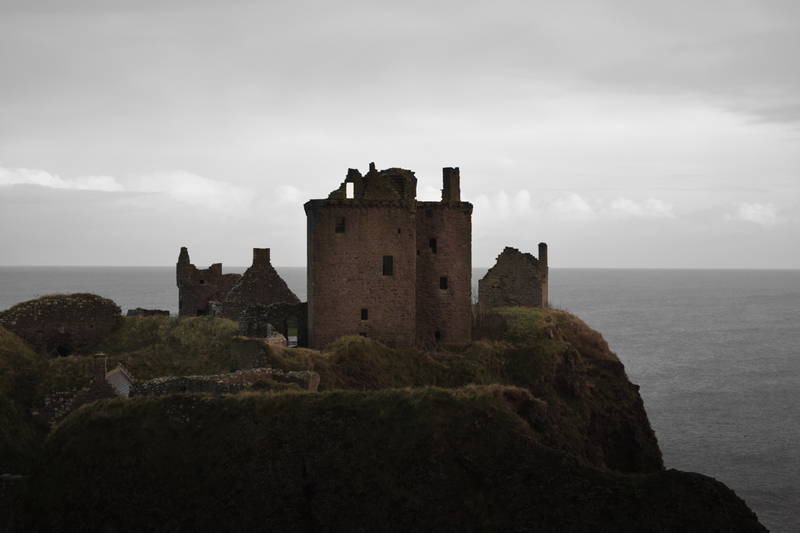 The castle is also haunted by a soldier who is said to stand guard at the entrance and appears to look Scandinavian, suggesting he might be of Viking descent. There is also a ‘Green Lady’ who wears a plaid dress and is seen wandering the grounds, searching for her children. 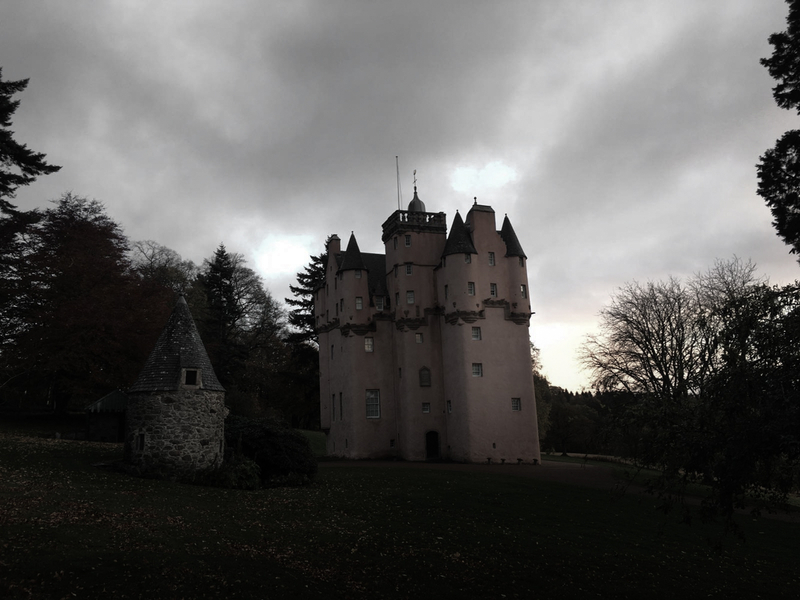 Legend has it that the walls of Crathes Castle hide a grisly secret, perpetrated by a wealthy family who lived there in the 16th century. During renovations in the 18th century, the bones of a woman and a child were discovered underneath the hearthstone in one of the rooms. It is believed that the woman was a servant who fell pregnant by a member of the Burnett family and was murdered to save the family’s reputation. Visitors, including Queen Victoria, have reported seeing a green mist forming and a chilling of the air around them, whereas others have seen a forlorn woman, now dubbed ‘The Green Lady’, pacing up and down in the room where her bones were secretly buried. 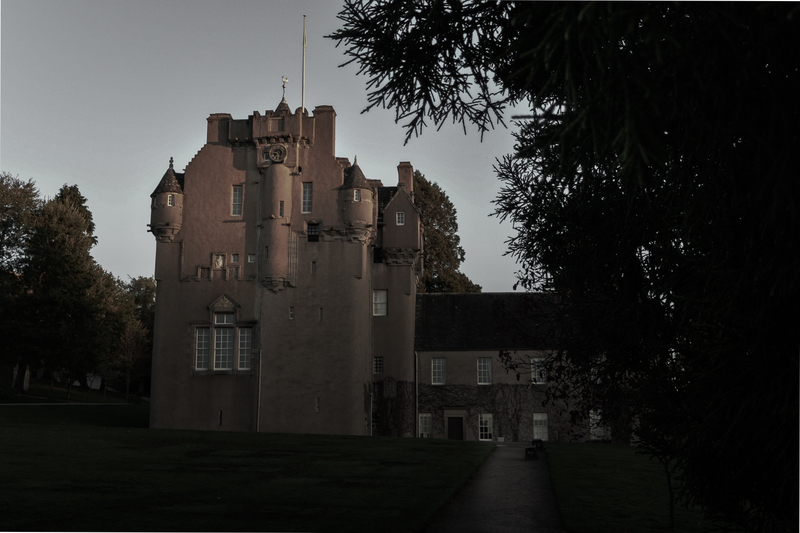 Drum Castle was built in the 13th century and granted home to William de Irwyn by Robert the Bruce. The area surrounding this castle saw Roman legions seeking refuge as they attempted to evade the dangerous bogs of Red Moss. 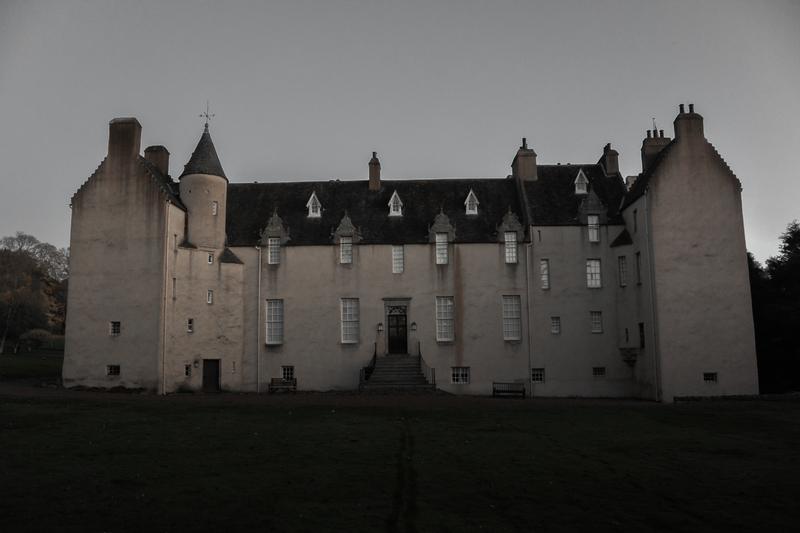 In more recent times, visitors to Drum Castle have experienced ghostly sights, smells and sounds, none of which can be accounted for. From heavy footsteps on a stone floor when no one is in the castle, to smells that include perfume and putrescence. In the Chintz bedroom, where it is believed one of the Laird’s wives was imprisoned, the room is prone to a sudden drop in temperature and items are moved around by a restless ghost. Amongst the magnificent oil paintings, splendid examples of Scottish Baronial architecture, priceless antiquities and armour are the stuff of spectral nightmares. 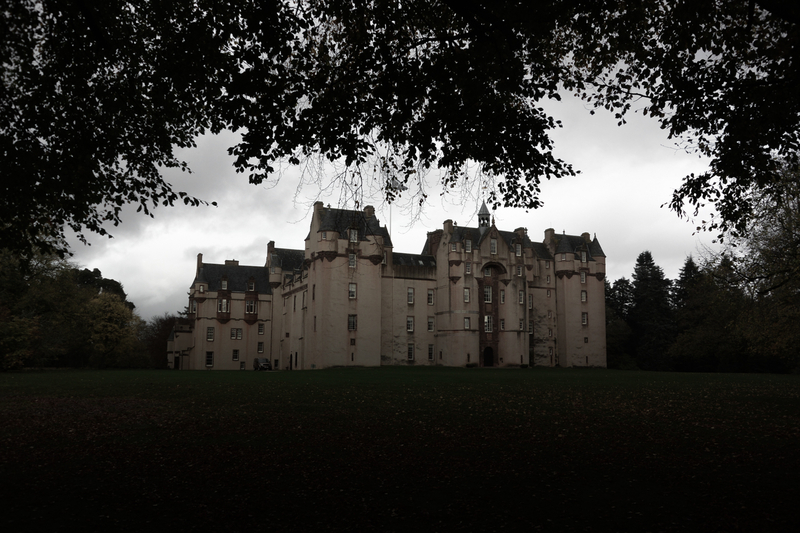 At least two ghosts inhabit Fyvie Castle; the Grey Lady, thought to be the ghost of Lady Meldrum who died in the 13th century and asked to be buried within the walls located in a secret room in the Meldrum Tower. The Green Lady, believed to be the wife of Sir Alexander Seton, who, after failing to produce a son for her husband, discovered he had an affair and died shortly afterwards. In the Castle there is a charter room and below this lies a hidden chamber which to this day remains tightly locked. All who crosses its path strictly know that is to remain locked, but the reason for this is unclear. What we do know is that legend tells us that if the chamber is ever opened the laird will die and his wife will go blind. Back in early 19th Century, the Laird, General William Gordon broke into the chamber, and soon after this he dropped dead. His wife Isobel Black, shortly after became blind, and her ghost has been sighted on the grounds on numerous occasions. Another attempt to open the chamber, made by Sir Maurice Duff Gordon in 1885, and later he fell and broke his leg, and his wife, Frances Waterton, was struck down with a very painful eye disorder. To this day, this chamber remains bolted shut, and never opened. Completed in the 17th century, this salmon-pink hued castle was the home of the Forbes family and is said to be haunted by one of the Gordon Clan. He was forced at sword-point by the notorious ‘Red’ Sir John Forbes from a top bedroom window and fell to his death. His footsteps have been heard, making that fateful journey up the stairs to the Blue Room and his eventual doom. 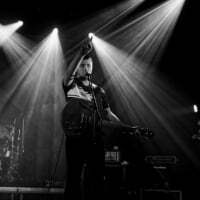 Looks brilliant Jack! You must have had a really fun trip! 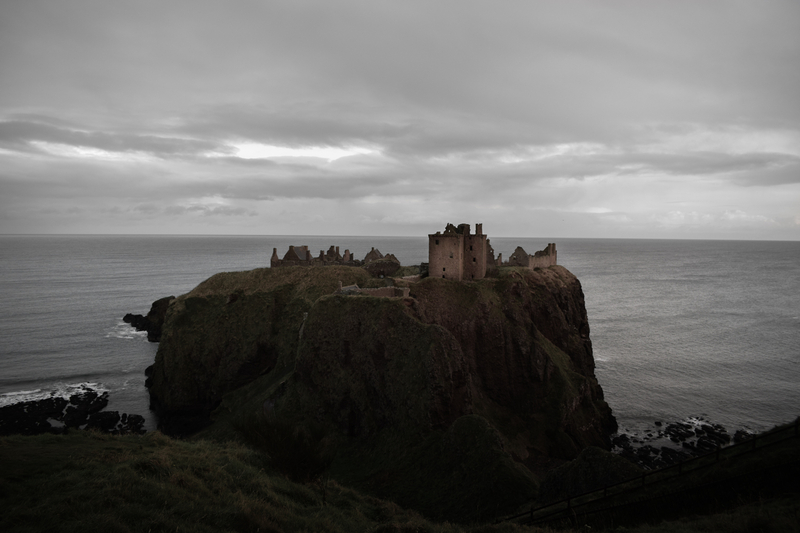 Cheers @VisitScotlandLiam yea was great fun going round the castles, visited them at first light so was even more eerie.